Welcome to the world of game development. Now let's make you a star. Players have conquered Bowser in Super Mario 3D Land and put a stop to Eggman's evil schemes in Sonic Generations, but can they survive artery-clogging fast food? That's the primary goal in Hamburger Man in the French Fry Kingdom, a Doodle Jump-inspired iPhone and iPad game I created in Engineous Games' newest release, Sketch Nation Studio. Oh, and I completed it in roughly five minutes. Can't you tell? Of course, if I invested an hour, my game would likely blossom into something special. Perhaps I should add mustard power-ups, or maybe Hamburger Man should squirt ketchup with each bounce. Do you think iOS users would pay for that? There's only one way to find out, really. 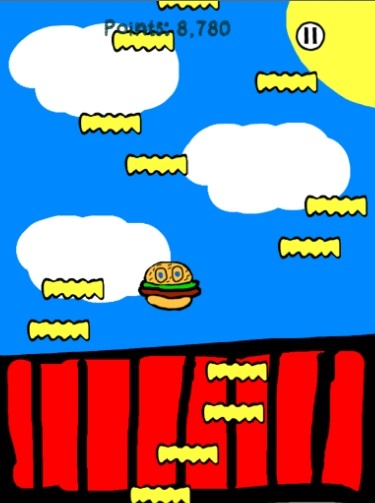 Submit Hamburger Man in the French Fry Kingdom to Engineous Games and hope the studio approves it for the App Store. If that last sentence made you do a double take, don't worry, you read correctly. Hamburger Man may one day appear in the App Store games section, all thanks to this smartly-designed programming tool that makes development user-friendly for those disinterested with spending the rest of their lives obsessing over code. 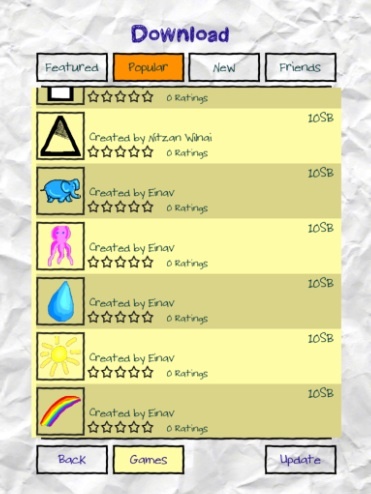 To that end, Sketch Nation Studio channels LittleBigPlanet in the sense that you're free to create video games across a limited number of genres (think Canabalt and Doodle Jump) via a user-friendly editing tool. Then, you can share these creations with the Sketch Nation community and/or, if you feel confident enough, submit games to Engineous, whereupon which the team may or may not give it the green light for the App Store. From there, you stand to earn 50 percent of the revenue after Apple takes 30 percent. Will your game become the next Angry Birds? Will you swim in a Scrooge McDuck style money bin filled with gold coins? No, probably not, and that's fine. The goal was to empower iPhone and iPad players with the means necessary to build their own titles, and the app does just that, despite obvious limitations, which I'll get to momentarily. On that note, Simple mode lets you design a game in minutes, as you utilize a paint tool to draw a character, platforms and backgrounds. Advanced, meanwhile, ups the proverbial ante, allowing you to add special effects (smoke billowing from the back of a car), power-ups and layered backgrounds. You can even import pictures taken with the device's camera, but this is strictly limited to doodles on white paper (no photos), and the tech is a bit wonky. As for uploading your designs/downloading others, it's as simple as creating an online account (a couple minutes, tops) and getting crazy, so long as you have enough Sketch Bucks. That's right. The game has virtual currency you earn from playing games and sharing art. You can always buy more via in-app purchase, but you're free to ignore IAP entirely. You don't need it to get the most from the game. On that note, not everything involving Sketch Nation Studio is all kittens and rainbows. We had the app crash several times during the asset creation process. 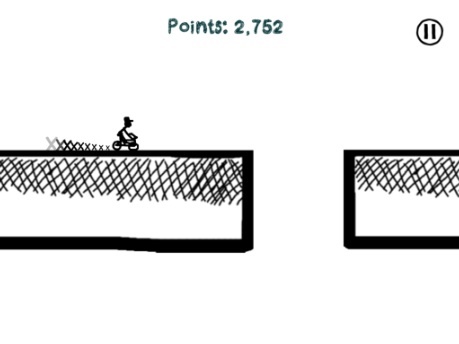 What's more, you can only design endless running and jumping games with limited animation. Finally, we have issues with navigating through the app, where the absence of "Back" buttons results in us frantically tapping the screen in a desperate attempt to return to the main menu. As for becoming the next Shigeru Miyamoto, it remains to be seen how strict the folks at Engineous will be when it comes to publishing people's games. Will it keep these titles to a minimum to ensure quality over quantity, or flood the App Store with a glut of $0.99 games no one will buy? Still not sure about that. Then again, downloading Sketch Nation Studio in the hope of getting rich doesn't seem realistic. Rather, you should check out this free app to make silly, borderline offensive games to share with friends, while dipping your toes into iOS development to get a small taste of what goes into the process. Definitely flawed, but I've poured several hours into it and have no intention of stopping. Besides, Hamburger Man was made for the spotlight. Review code provided by Engineous Games. What's Hot: User-friendly creation tools, Simple and Advanced modes, sharing artwork and games with friends, the possibility of being published on the App Store, free to play. What's Not: Navigation needs work, game crashed a few times, not enough genres, limited animations.